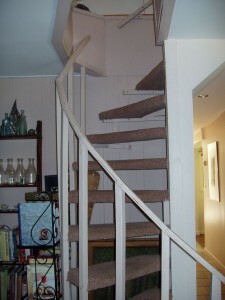 Choose this when you prefer an expansive 25 X 20 ft. area, it is the entire second story of the Inn, your own studio apartment with a private internal spiral staircase to the main floor of the Inn. With luggage you will access the Suite via a private 14 stair external staircase, then use a private 13 stair spiral staircase to the main floor where breakfast is served. Kitchenette includes a bar sink, coffee maker, box refrigerator, electric kettle, microwave, the dishes, mugs, cups and flatware you might need for a light meal. All four seasons flood into the suite through an extensive use of windows yet it offers total seclusion. 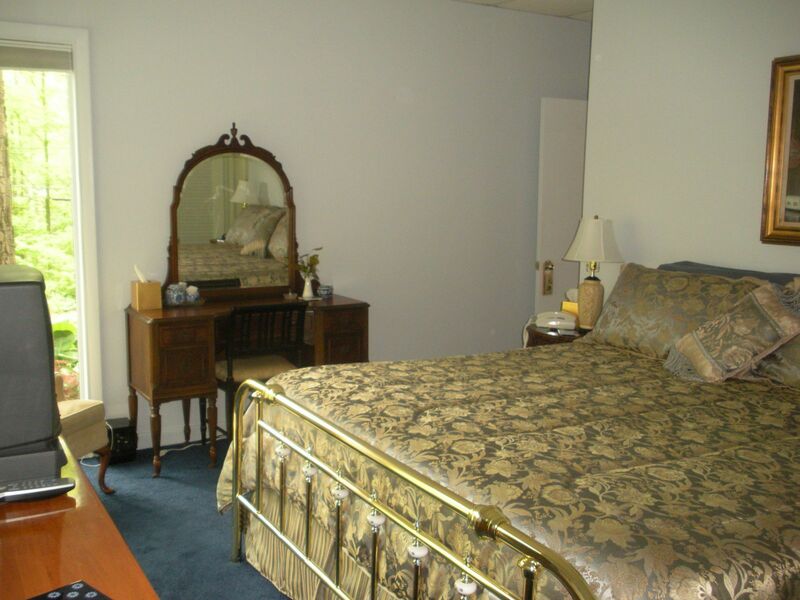 This is a large single room, it has a tile floor. Bed configuration is one King bed. Private ensuite bathroom with frameless shower. Bathroom amenities include: Hairdryer, Shampoo, Conditioner, Shower-gel, Soap & Lotion. 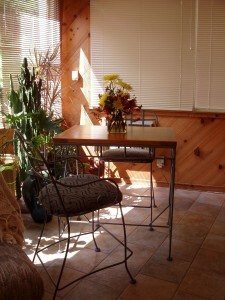 This suite has its own private entrance with covered deck that looks out into the woods. Live plants accent the room. The tall bistro set enables you to dine with a view or play one of the board games on hand. 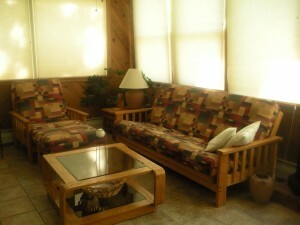 The sitting area of the suite has a chair and Futon couch. but there is no capacity for any more cots/beds in this room. For ambiance there is a gel-burning fireplace. 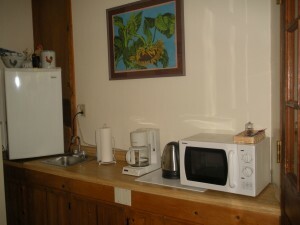 $220* per night double occupancy. 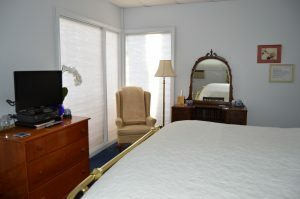 Suite can accommodate up to 4 persons maximum with each additional guest charged $34 per night . 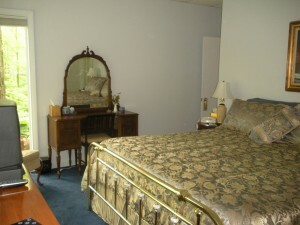 * Room rate includes a full served breakfast, does not include applicable sales tax and is based on double occupancy. PARKING off-street is limited to one vehicle per room. We recommend this room for it’s spacious comfort and complete privacy for any length of stay but especially for those who require availability of 24 hour hot beverages or a microwave. This is the best room for those that Smoke, just a few steps outdoors to an ashtray on your own private covered deck. We recommend this room for a maximum three nights stay as there is no kitchen use available and hot beverages are limited to the 8:00 or 9:00 AM breakfast service. Choose this room when wanting a king-size brass bed with traditional mattress for support and Memory Foam topper for plushness. 15 X 12 ft. room is decorated with oriental keepsakes and soft blue tones. 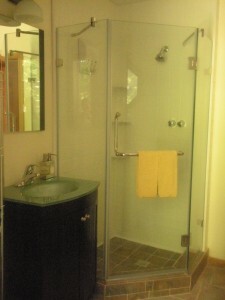 Private en-suite bathroom with shower. 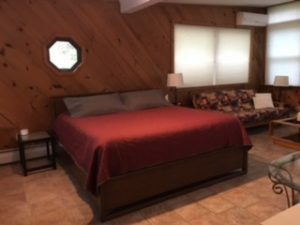 There is an antique dressing table, dresser with 26″ flat screen TV, chair with reading lamp and a walk-in closet with a small refrigerator. 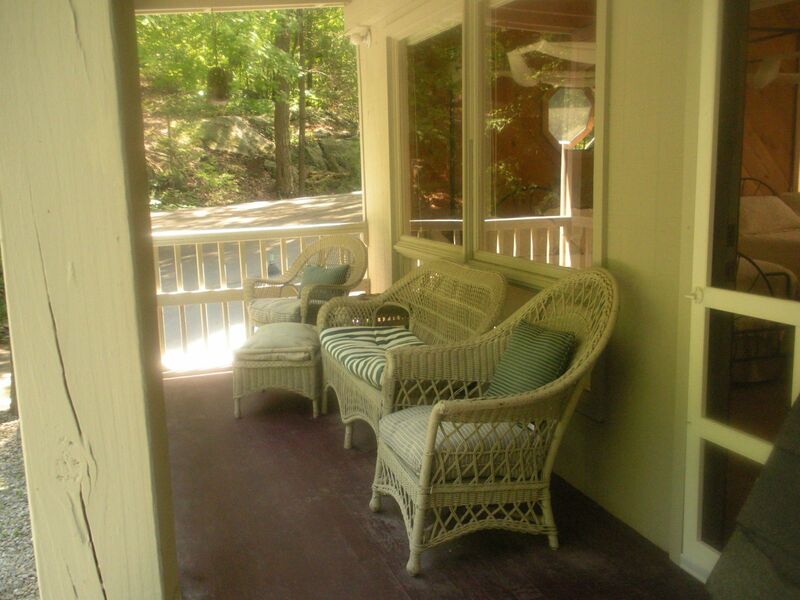 Through wall-sized windows you view a natural rock ledge and massive oak trees. 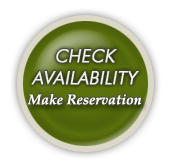 Room rate includes a full served breakfast, does not include applicable sales tax and is based on double occupancy. Maximum party of two. There is no capacity for an extra cot/bed in this room. Bathroom amenities include: Hairdryer, Shampoo, Conditioner, Shower-gel, Soap & Lotion.